It's been announced that Ikuta Toma and Yoshitaka Yuriko will star in "Bokura ga Ita", which is a film adaptation of the popular manga. This will be the first time for Ikuta and Yoshitaka to co-star alongside each other. 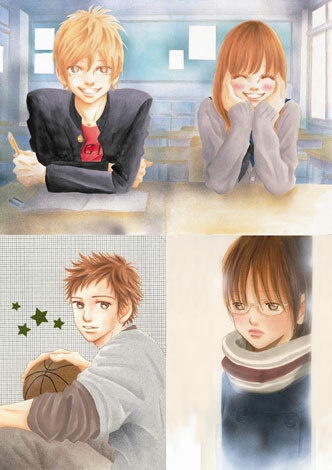 "Bokura ga Ita" is Obata Yuki's ongoing manga on "Betsucomi", and it tells of a pure love story between a couple who met in high school. It tracks their growth over 10 years, following their time during high school, college, and professional career days. �The story will take places in Hokkaido and in Tokyo. Ikuta will play 'Yano Motoharu', a popular guy with a shadow in his heart due to his ex-girlfriend's death through a car accident. Ikuta commented, "This may be the last time for me to wear a school uniform, so I would like to enjoy the sweet and sour school life." The heroine Yoshitaka plays is named 'Takahashi Nanami', who falls in love with Yano, and tries to accept the shadow in his heart while loving him�sincerely. She commented, "It's a wonderful and well-loved manga which has been read by many people, so I will try my best to play the role without betraying the fans of manga." Meanwhile, Takaoka Sosuke will play the role of�Yano's best friend, 'Takeuchi Masafumi', and Nanami's classmate will be played by�Motokariya Yuika. The shoot for the movie will start in May, and it'll be released as a two-part film in spring of 2012. Ms.OOJA announces new single, "Cry day..."!